NEWBORN & BABY Photo session Availability FYI: Dear Clients, my schedule fills up fast, especially for newborn sessions, which take place within the first 10-14 days of Baby’s life to achieve the types of poses/photos in my newborn galleries. I am currently booking newborn sessions with due dates into JULY 2019!!! Please email Olga at chasingmoments@gmail.com for details, availability and to book. 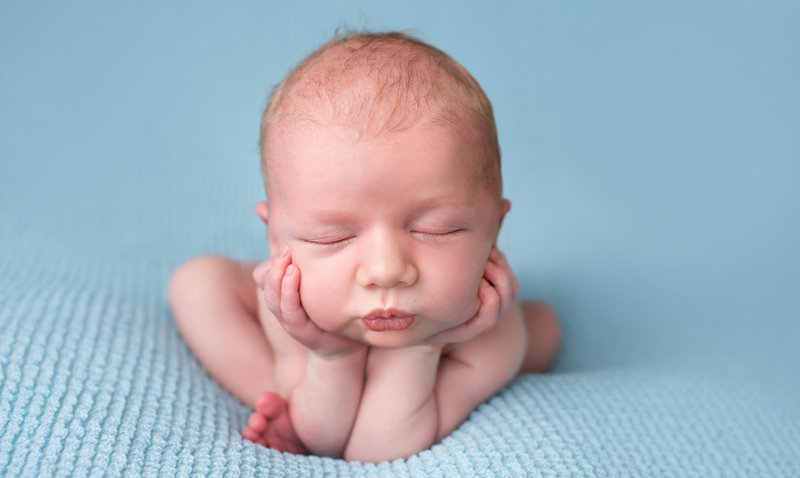 See the pricing page for newborn photography session information and details. 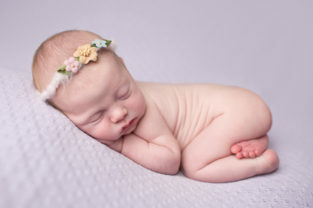 I do all newborn baby sessions at my Reston studio, and I have all necessary props, accessories, and gear. I have been doing newborn photography for nearly 10 years now, and I like to think that I’ve got most things figured out, even though I am still learning and improving every day!. Occasionally I still take a moment, step back, look at my own work and say “wow, did I really take this beautiful image?” Yes, I know, it is a total pat on the back. But it really puts things in perspective and reminds me why I do this! I love creating beautiful timeless images for my clients that they can cherish for years, and I love seeing them come back with their second, third, and even fourth (yes, I do have a few of those clients) newborns! And, wow, did I really take this beautiful newborn photo below?! This sweet little man visited my Reston photography studio all the way from Virginia beach! His mom and him were visiting family members in the area and I am honored they set aside time to come by my studio for his first baby photo session! He was so sweet and dreamy, and I think these pictures are to die for. I love that mom picked a combination of blue and bold yellow for his pictures. If you want to see more pictures from the session, check out the blog post: http://www.chasingmoments.com/blog/newborns/newborn-baby-photographer-in-herndon-reston-fairfax-county/ If you love my work (check out more of my newborn photography in the galleries on my website) and would like to schedule a newborn session for baby (I book 6 months in advance of the due date! ), please email me at chasingmoments@gmail.com or give me a call at 202-251-6368. Chasing Moments is happy to introduce its new brand new session offering a fully all inclusive newborn mini session where your baby will stay naturally wrapped and sleepy in a soft cozy swaddle making for breath-taking photos with parents and individual newborn photos. This is an absolutely unique newborn photography session type to the Northern Virginia and DC metro area region, don’t miss your chance to book as these are offered on a first come basis and availability is limited. Please read this blog post for session details as well as a showcase of the variety of images you can get from an “all wrapped” newborn mini session. I’m so tickled pink! A Chasing Moments Photography image has been selected for the cover of the 2019 Adobe Elements products and marketing! Absolutely nothing better than seeing your work in use! As a photographer, not only do I work out of my studio as a newborn photographer delivering timeless images for my portrait clients, but I have photographed portraits, landscapes and lifestyle imagery around the world for stock and commercial use. This is just one example of how such images are used. If you want to learn more, please check out my stock photography tear sheet page here (it does need to be updated to include a couple of years of recent work though). I was also recently interviewed by Shutterstock, one of the world’s biggest and leading stock photography agencies, for a blog feature on working with babies and young children in the studio. It is such an honor to be featured on their website, as it is the first stock agency I ever joined and one of my absolute favorites. Check out the full article here and more of my stock work in my portfolio here. These sessions are for KIDS ONLY, and will be held at my Reston studio located at 11715 Bowman Green Dr., Reston. This year, I have set aside 4 dates for Christmas mini session, please follow the above link for session information and details. 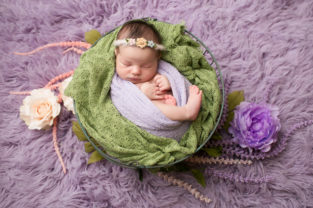 Chasing Moments Photography is Northern Virginia’s premier newborn photographer with a commercial boutique studio located in the heart of Reston. Olga, the photographer and owner, is an experienced baby whisperer serving newborn clients since 2010! The studio’s primary focus is on newborn portraiture for babies (best for little ones up to 2-3 weeks old), and on studio milestone sessions for babies and children 6 months and older. Click here to learn more about Olga and the studio’s operations. If you are in Fairfax or Loudon county, the studio is just a short drive, and the majority of clients come from Arlington, McLean, Vienna, Herndon, Ashburn, Alexandria, and the Northern Virginia side of the DC metro area.